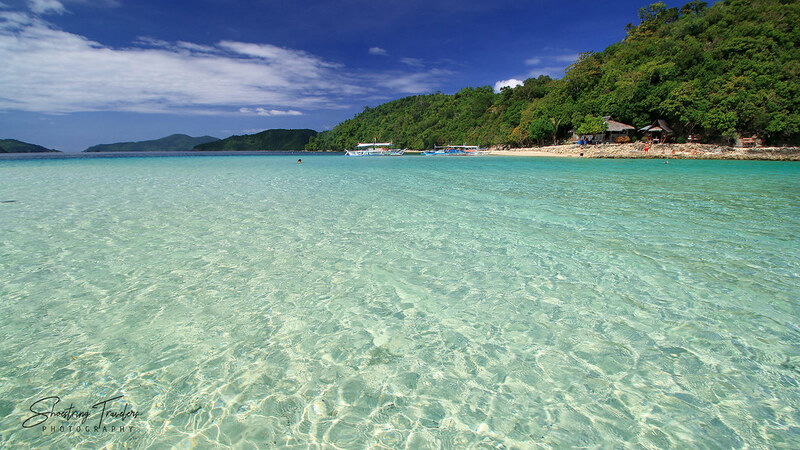 Itaytay Beach is an ideal place for chilling. But wanting to enjoy the best of what nature had to offer at Port Barton, we started our second day on this peaceful fishing village by embarking on a day-long boat trip to the islands and reefs at Port Barton Bay. The itinerary of our first boat tour covered islands with the curious-sounding names of Exotic, German and Starfish. 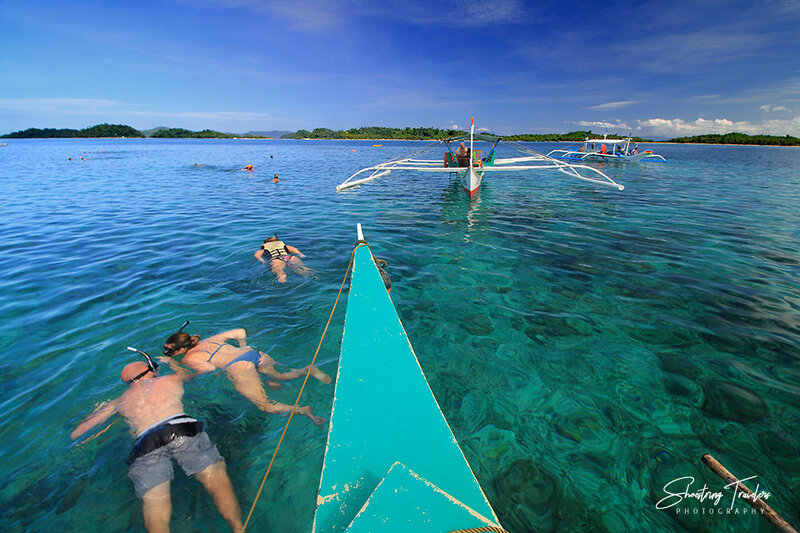 First on our list was a group of coral reefs just a few minutes boat ride away from Itaytay Beach: Twin Reef and Fantastic Reef. This was perhaps the best surprise of our Port Barton experience. 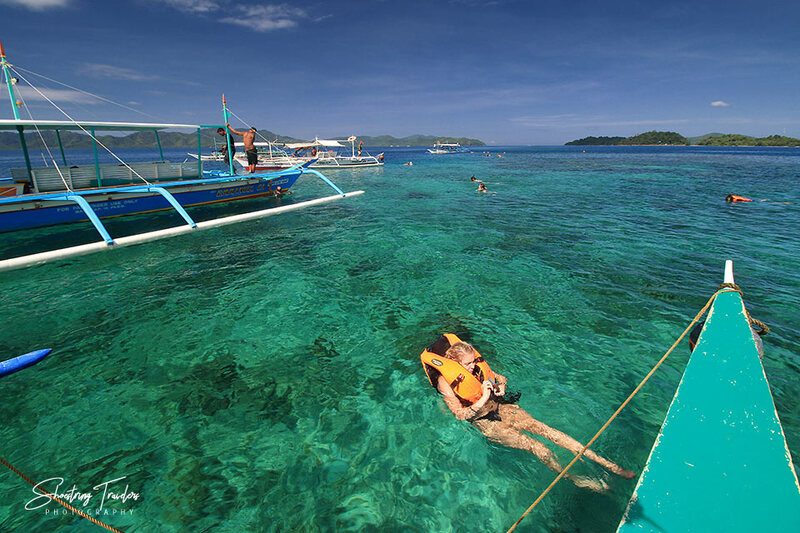 Our boatmen were unanimous in saying that Twin Reef offers the best snorkeling in Port Barton. 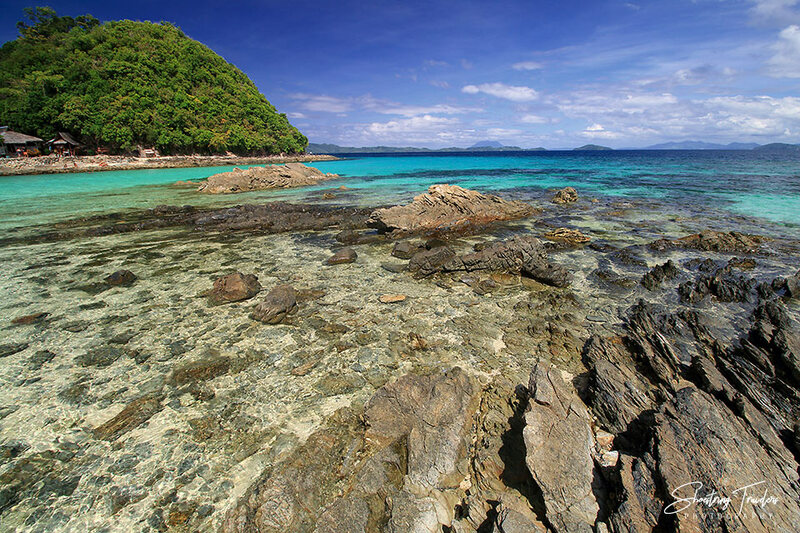 Twin Reef has several pristine corals including barrel sponges, table corals and other colorful coral species. Swimming about were plenty of blue and yellow fusiliers, clown fish, trigger fish, parrot fish with colors we have not seen before, besides many other colorful reef fish. A Canadian on our boat said it was the best snorkeling she’s done and she has been to coral reefs in many other countries. 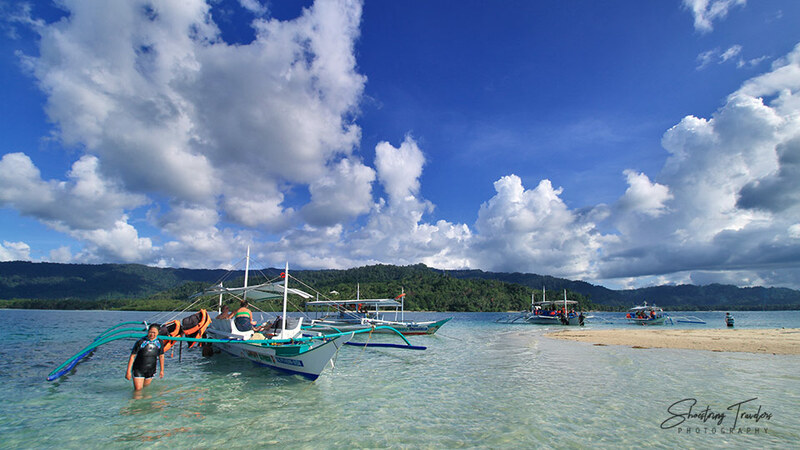 The snorkeling was an exhilarating start to our island tour and then we were off for Exotic Island – our first island stop and eventually our lunch stopover. Exotic Island sounded rather too cliché for us and made us wonder if it really was worth a visit. However, our boatmen thought it was more beautiful than the more popular German Island. True enough, as our motorized outrigger began to approach Exotic Island from its western side, we realized they weren’t exaggerating. 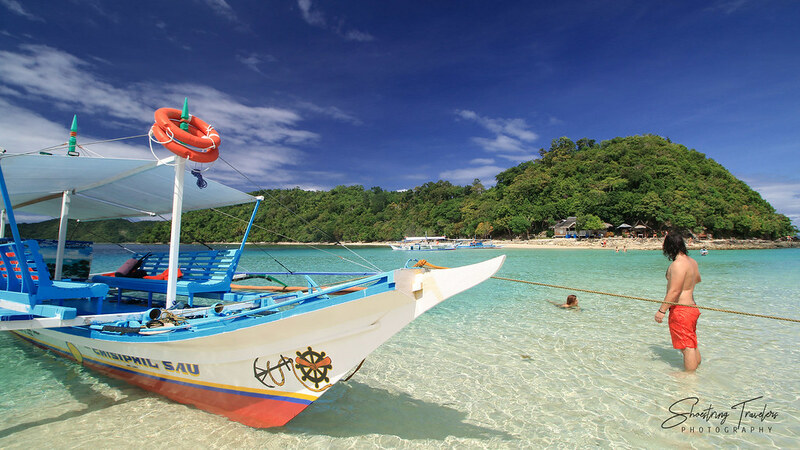 With surrounding crystal-clear emerald and aquamarine waters, a fine white sand beach and a coral reef just offshore, Exotic wasn’t a misnomer at all for this island. A group of layered rocks jutted out from the northern end of the island, pointing towards another, larger island mass that the locals call Maxima Island. A small channel marked by stunningly clear and shallow turquoise water separated the two. At its deepest this channel was just waist-deep and we wasted no time walking across to Maxima Island on the other side. 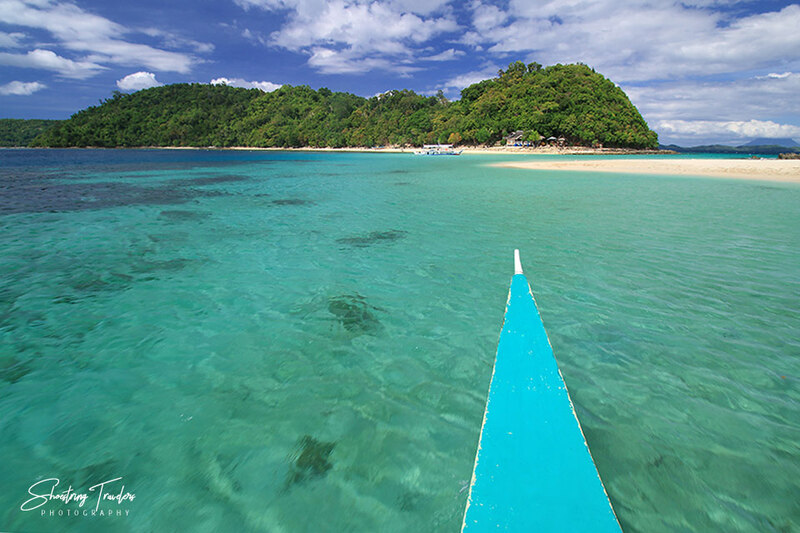 Looking at Google Maps later we discovered that Exotic is officially Cayoya Island while Maxima is Albaguen Island (apparently misspelled in Google Maps as Albguan Island). 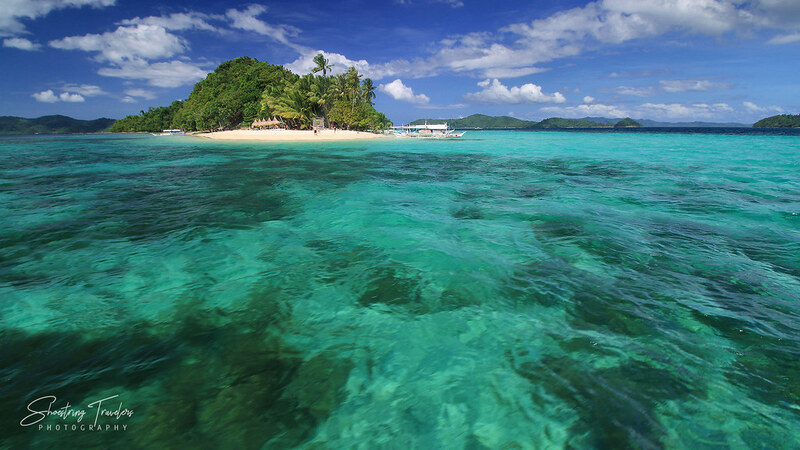 Albaguen is the northernmost of the islands in Port Barton Bay and contains several white sand coves and beaches plus the Blue Cove Island Resort. It seems, however, that the tour boats are not allowed to go there. Our next destination after Exotic – Inaladelan Island – used to be (and is still often) called German Island after a German national who used to either own or lease the island. 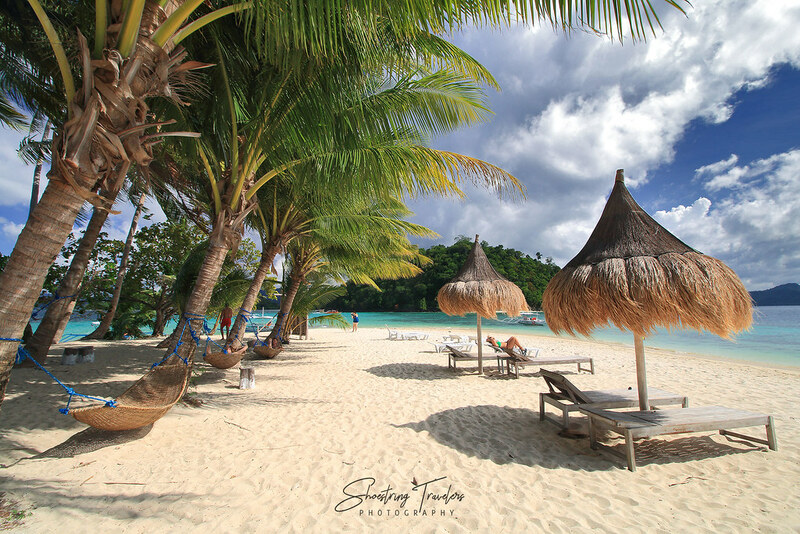 Strikingly clear emerald and turquoise waters surround a white sand beach on the island’s southeastern side, revealing plenty of corals underneath. 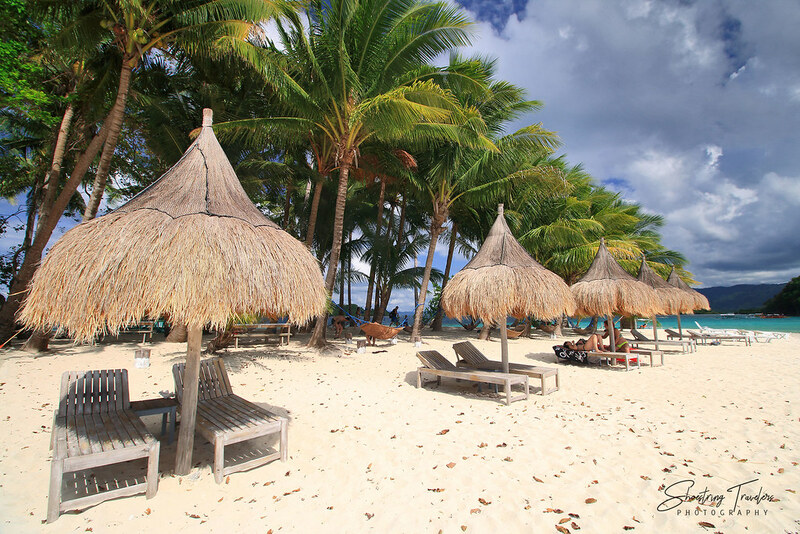 There’s a resort at Inaladelan but it blends well with the surrounding palms and vegetation. Hammocks underneath leafy palms and native-style beach huts and even a swing provide opportunities for rest and relaxation, something that we and our boat mates eagerly took advantage of after a whole morning of snorkeling and island exploration. A line of palms and huts pointing to the Turtle Spot just off Marindeg/Double Island. We had asked our boatmen if we could add the latter to our island-hopping itinerary but they said it wasn’t allowed by the island’s owners. 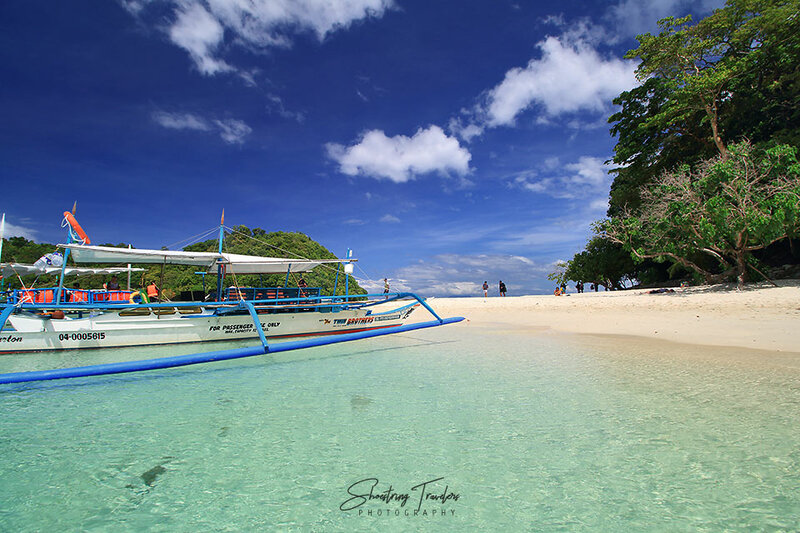 Our last island destination for this first day of island-hopping isn’t really an island but a sandbar that happens to be the closest destination to Itaytay Beach in the mainland – reachable via a 15 to 20 minute boat ride from shore. Starfish Island or Sandbar is named after, you guessed it right, starfish. One can find a number of these creatures submerged under shallow water and scattered all over the sandbar. 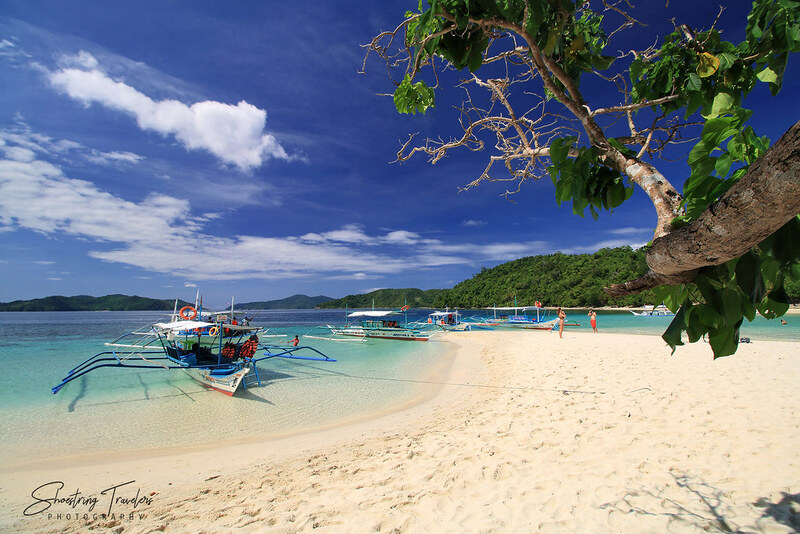 Our first day of island-hopping was already a revelation but more was to come. As we slept soundly that cool December night we eagerly looked forward to another day of exploring more of the wonders of Port Barton Bay. 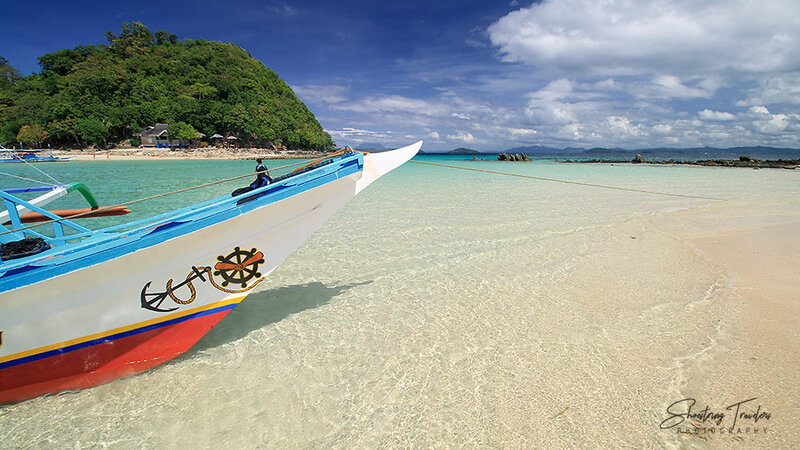 Posted in Palawan, Travel PhilippinesTagged Albaguen Island, beach, Exotic Island, Fantastic Reef, featured, German Island, Inaladelan Island, island-hopping, Maxima Island, Palawan, Port Barton, San Vicente, snorkeling, Starfish Sandbar, Turtle Place, Turtle Spot, Twin ReefBookmark the permalink.